At Colorado Theological Seminary, we understand how hectic life can get, which is why our seminary school is proud to offer a wide array of online courses for distance learning. We believe that no one should be denied an education simply because they are unable to fit school into their daily schedule. The courses offered at Colorado Theological Seminary are created with our students in mind and are designed in a way that allows students to learn at their own pace. Many people find that taking classes online is an excellent way to fit your education and learning into your busy life. Perhaps you have a few hours to study early in the morning, or maybe you manage to find several one-hour blocks of time throughout. Whatever the case may be, there are many more advantages to taking classes online. 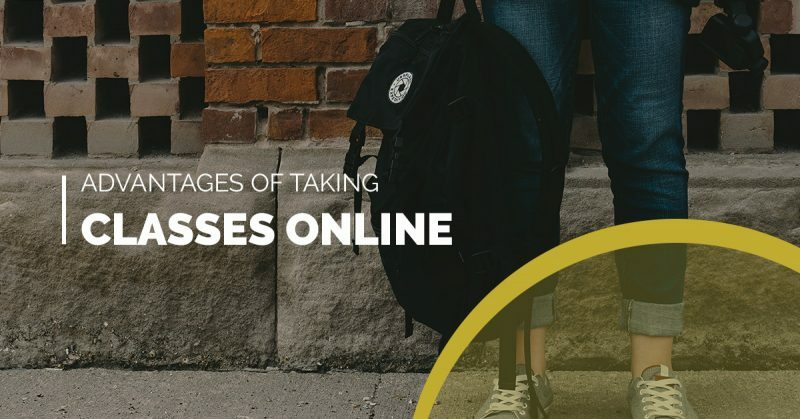 If you have been considering registering for Christian online courses, continue reading to learn about the multiple benefits of distance learning and fill out a contact form to have someone from Colorado Theological Seminary get in touch with you today! The most wonderful thing about online learning is that you can “attend class” whenever it’s convenient for you. This gives people who work multiple jobs or act as caregivers the opportunity to fit learning into their personal schedule. If you have a busy few days followed by a relaxing day or two off, you can easily fit your coursework into one of your less hectic days without feeling stressed that you didn’t accomplish much schoolwork when you were busy. Another bonus is the fact that you never have to leave your home to learn! Conventional classrooms are often crowded and filled with uncomfortable chairs and desks. When you’re at home, you can sit, stand or lay while still being able to study and access all necessary coursework and resources. If you are someone who is unable to stare at a computer screen or read blocks of text for extended periods of time, online courses give you the freedom to break up your learning in whichever way is most beneficial for you. Some students will study for hours on end, while others prefer to work for an hour followed by a 20-30 minute break. Whatever the case may be, online classes allow you the convenience of controlling when and how you study. No two students are the same, and therefore, no two students learn at the same pace. One student may be a fast learner who can process verbal lectures and retain all information, while another student may need to write everything down before they can study the course material. When you begin a self-paced course online, you are able to manage your own learning speed. This means, if you had a difficult time understanding the information you just read, you can go back and reread it as many times as you would like without feeling like you are going to get left behind. Many students find this to be a huge perk of attending a seminary school online because you can move forward and progress when you, personally, feel confident and ready. It is expensive to attend school in a traditional campus setting, and the cost of tuition is only on the rise. Additional expenses such as the cost of gas to drive to and from campus, the cost of living in a dorm or the cost of public transportation to take you to school all add up and only get piled on top of your already costly tuition. Attending an online Christian college is a very cost-efficient alternative to a conventional, on-campus education. 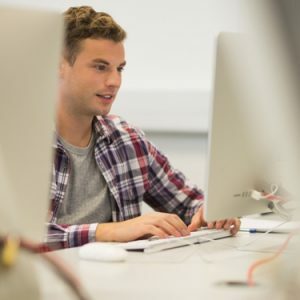 The average cost of tuition for online courses varies from school to school and depends on a number of factors, but it is always less expensive than traditional campus programs. 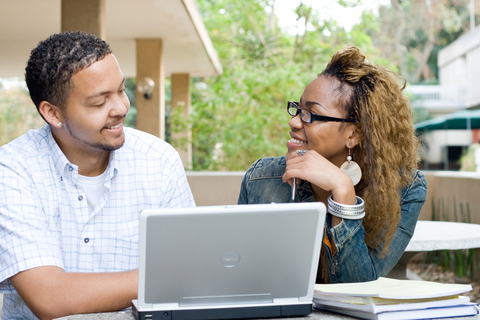 Financial aid is often an option for students who are unable to pay the fees for online courses. A lack of time and/or financial resources should never be reason to deny yourself of a quality education. Trying to learn or study around other students can be difficult. If you are someone who needs complete silence when you study, even a quiet place like the library can be distracting. When you decide to pursue online courses, you control the volume of your work environment. If you want to listen to soothing music, you can do so. If you enjoy having the television on as background noise, you can do it. Or if you want complete and utter silence, you can do that, too! An online Christian education gives you the power to create an environment that is most beneficial for you and your learning needs. A great lesson you will learn while taking online courses is one in self-discipline. While the main benefit of online learning is the flexibility it allows you, from time-to-time, it will be difficult not to take advantage of your freedom. We understand just how distracting a fluffy puppy or cute kitten can be, but it is important to stay focused on your education goals, especially when baby animals are in the room. If it helps, set up a time each day where you make yourself sit down to study — maybe it will be a day of light reading, or maybe it will be a day of intense studying. Regardless, making your seminary school education part of your daily routine will do wonders for you when you are feeling unmotivated or distracted. Or, treat yourself to something fun if you accomplish your goal. For example, “I’ll buy myself a vanilla swirl cone with sprinkles if I complete this assignment today, within two hours.” If you are someone who gets motivated by working towards a reward, this solution will be a great one, for you! Perhaps you decided you want to go back to school after a long hiatus, or maybe you are someone looking to learn more about a specific topic you are interested — whatever the case may be, there are classes online offered in just about every subject you can imagine. At Colorado Theological school, we offer classes that can help you earn any level degree, from Associate to Doctorate and everything in between. Our extensive catalog of courses appeals to every student, and will provide you with a bountiful selection of resources. Again, the key here is that you are in control of your education. You learn what you want, when you want, and in whichever environment best suits your needs. If you are convinced that an online seminary school is right for you, we would love to get in contact with you to help explore the extensive array of courses we offer. The Colorado Theological Seminary staff are here with your happiness and education goals in mind. Give us a call today! We look forward to hearing from you.